Firefighters came to the rescue after a bystander encountered the ducklings' distressed mother and called 911. NOCATEE, Fla. — Firefighters safely reunited a group of ducklings with their mother on Monday in Nocatee. The firefighters with Engine 18 along with their supervisor, Battalion Chief Patrick Welch, rescued the ducklings during an underground, confined space rescue, fire officials said on Facebook. 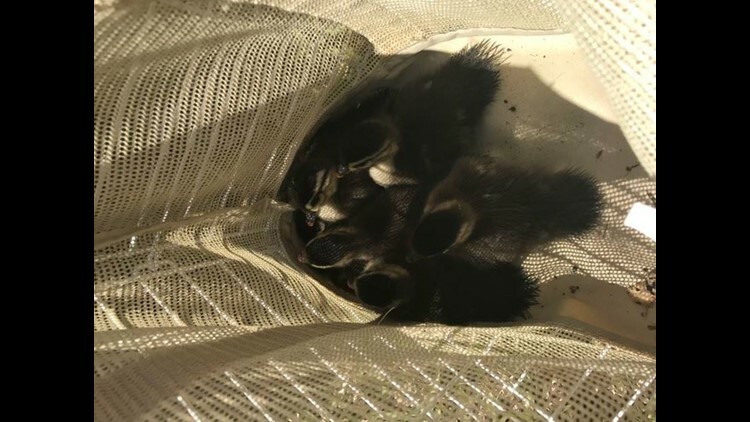 The ducklings had reportedly swum deep into an underground stormwater pipe near 86 Payne Trail in the Greenleaf neighborhood, firefighters said. Eng. Barry Dunn found the ducklings 50 feet down the drain pipe. The ducklings were soon scooped into a pool net donated by a bystander and were released into a nearby lake, where they were found by their mother.